Historically, press kits were supposed to be prepared for newspaper journalists. It was true twenty years ago when the print media literally ruled the world. PR managers were doing their best to draw attention of the print media, but the development of information technologies and total globalization made this work as something to be wasted. One of the main factors of success in online business is to know what you are selling. Searching for the right product is only the basic step in creating a profitable and ever-growing company. 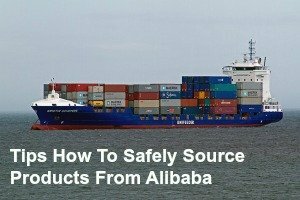 In this article you will find the answer on question about how to source products from china in bulk, which is the main concern of many entrepreneurs. On the Alibaba site you can find best prices on various products: clothes, shoes, cosmetics, furniture, interior decor, products for children. Generally, everything, no matter what. If a product doesn't appear in the search results on Alibaba, there is no such product in China. Let's imagine that someone offers you to fund starting costs and solves the problems with shipping and delivery at the beginning. Does it seem a little bit too good to be true? No, if you know about drop shipping business opportunities.